The experience of psychotherapist in the field of serious organic pathologies is an integral part of this handbook, a valuable tool for sick people, family caregivers and practitioners. 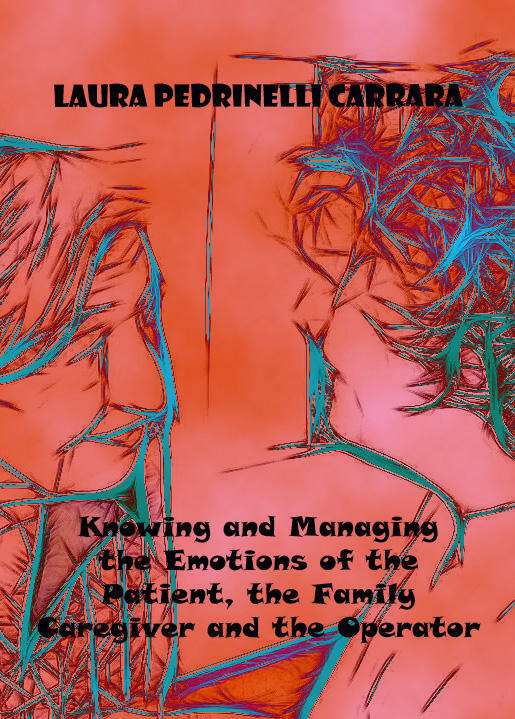 Knowing and Managing the Emotions of the Patient, the Family Caregiver and the Operator is an innovative book for its kind because it’s about people who are doing a cure or rehabilitation course, but also their family members and healthcare workers. Each of them is seen as an active participant in cure, but also as an emotional protagonist since he lives the emotional outcomes of illness or discomfort, both his own and the other, and must be able to handle them. Each chapter is devoted to deepening, through the use of so many examples, of the various emotional aspects ranging from knowledge of emotional mechanisms to their management through practical suggestions and exercises. The first chapter describes the psychological and physiological mechanisms that make up the emotional experience. At a physiological level, we will know the different ways in which our body reacts, while at the psychological level we will understand the modes of cognitive processing and distortion, conscious and unconscious visual interests, and behavioral changes. The second chapter explains the different emotions: anger and aggression, joy, anxiety, pain and phases of pain, fear, sadness, embarrassment. This part of the book also answers questions such as: When are you angry and why? What are the physiological variations of fear and what of joy? What is embarrassment and what is anxiety? The third chapter deals with the most disagreeable emotions with a reading key that is not limited to deepening the lives of patients, but also spans also the emotional reactions of the caregiver family and of the operators. The questions that are answered in this part of the text serve to analyze emotional motivation: What are the causes of rage or pain for the patient? What are the reasons for anxiety for the operator? What are the reasons for sadness for the caregiver family? The fourth chapter deals with emotional management, for every unpleasant emotion you specify a series of arrangements that can help your caregiver or family caregiver to better manage the situation. Particular deepening is dedicated to the phases of pain. The last part of the book is devoted to the explanation of practical exercises for immediate management of emotional tension and emotional rebalancing.